This has not been the greatest of years for Major League Baseball, though the excitement of the NHL playoffs and Golden State’s blowing through the NBA playoffs has overshadowed their problems. 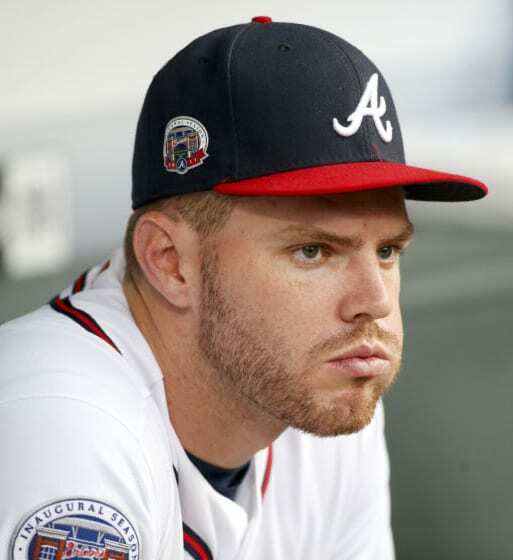 First, the National League lost until at least August the services of Atlanta Braves first baseman Freddie Freeman. Freeman was having his finest year, putting together a MVP caliber season for an otherwise dreary team, before being hit on the wrist by a pitch. That was soon followed by an even more dismal event. Mike Trout, the reigning American League MVP on his way to quite possibly his best season yet, slid into second head first on a steal attempt. When putting his hand up to catch the bag, he jammed his thumb and strained ligaments. He’s also out until at least August. Trout was leading the American League in home runs and slugging percentage, and seemed primed to repeat as MVP, even though his greatness hasn’t been able to put the Angels in contention. Still, despite losing those marquee attractions, MLB would much rather deal with that than the massive barrages of negative publicity they got last week. That resulted from a series of ugly incidents involving an announcer, Hall of Fame player, and current star shortstop. None are the kind of thing the sport needs, nor wants to see played out in public. The first came when the Philadelphia Phillies all-time great third baseman Mike Schmidt publicly questioned whether center fielder Odubel Herrera could be a franchise player the team builds around for the future. Schmidt said the fact Herrera’s first language was Spanish rather than English, and he is still adapting to doing interviews and other duties, showed he couldn’t be the type of player around whom others would be willing to follow. Schmidt soon recognized the ugliness of his comments and apologized directly to Herrera, while publicly apologizing to the Philadelphia organization. As an ex-player, there’s not much MLB can do about Schmidt’s comments, but there’s little question the Commissioner’s office was less than thrilled with those statements. The furor hadn’t cooled from that fiasco when former Red Sox player and current broadcaster Jerry Remy harshly criticized New York Yankees’ pitcher Mashairo Tanaka on air. Tanaka uses a translator on the mound during visits from the manager or players, something he’s been doing quite a while. But Remy said Tanaka should “learn baseball language,” and added it should be illegal for any player to need assistance from a translator. He ignored the fact the current MLB CBA includes a provision for translators for any players from the Caribbean, Latin America, Central America, or the Pacific Rim. A sport that has been trying to market itself as a global one in the same vein as soccer or basketball hardly wants to be perceived as one insensitive or hostile to Asian players. The Red Sox organization quickly blasted Remy’s comments, and he also apologized for them. He might want to begin polishing his resume, as it is unclear how this will affect his future with the team. MLB also added their own angry statement denouncing Remy’s comments and reaffirming their commitment to diversity and inclusion. If that weren’t enough, later in the week there was a controversy involving Chicago Cubs shortstop Addison Russell. His wife Melisa’s post on Instagram (later deleted) seemed to claim she was the victim of abuse as well as adultery. The comments “Being free to be able to make your own choices for your own happiness beats being cheated on, lied to, & disrespected any day,” triggered a firestorm of reaction. The couple have been married since January 2016 and have a son Aiden together. He also has a daughter Mila from a previous relationship. Melisa Russell later expanded on her first post, saying “My post is meant to be empowering, not degrading. At all. I hope it empowers and inspires other women to ‘not take s***’ from anyone, regardless of who they are. Hoping to empower other women to stand up for themselves is not a crime AND…i think it’s brave and REAL to show that life’s not perfect, and it’s ok.” Addison Russell had no public comments, but MLB announced they would be investigating the situation. The Cubs also had no public response. Whatever happens the rest of the season, it’s a good bet MLB doesn’t want to see more of these incidents.